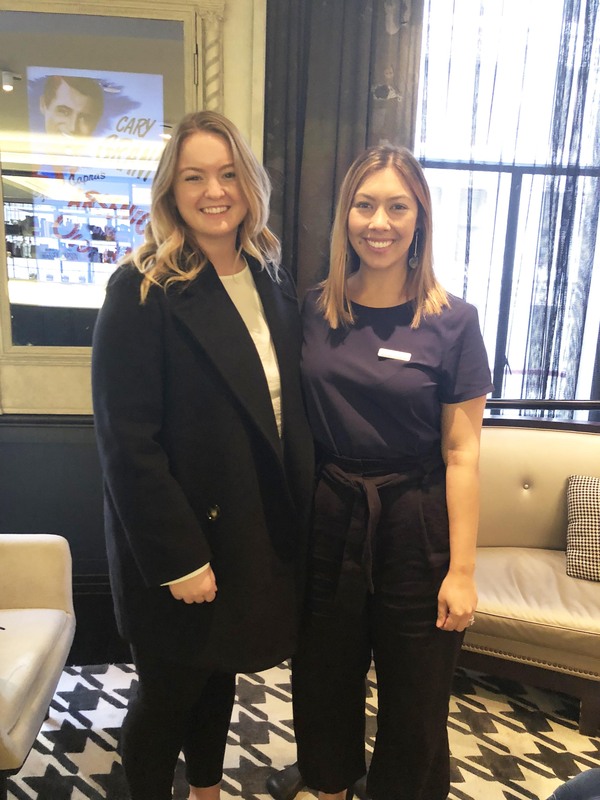 Last week we were thrilled to be spending a day at the QT Sydney with key beauty media and influencers to share more about the Corneotherapy concept and how dermaviduals embraces the science of restoring the skin’s barrier. Such a fabulous office for the day – the QT is stylish and sophisticated; the ambience is wonderful! 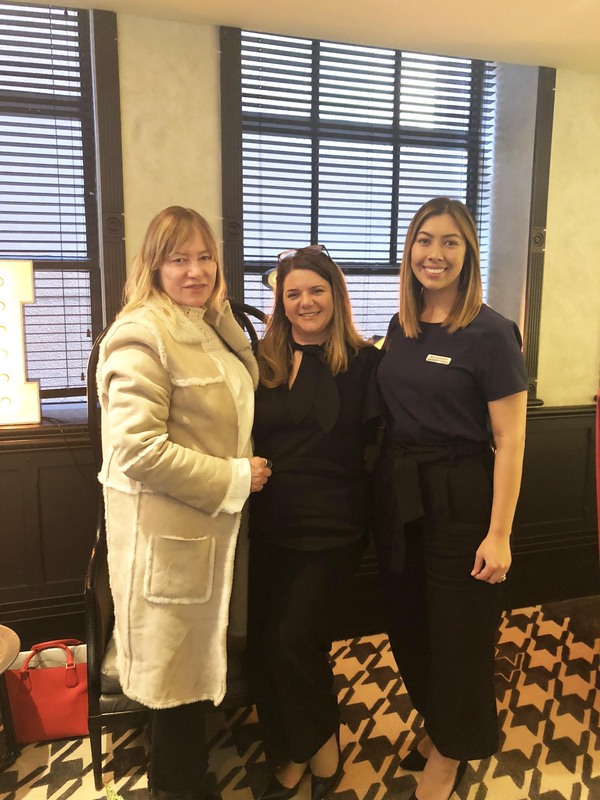 We were very lucky to have the lovely and incredibly talented Robyn McAlpine (AKA @expert_skin_therapist), owner of Newcastle based salon SkintifiX, with us to look after everyone today with bespoke facial experiences. Robyn has recently taken on the role of dermaviduals ambassador; we are proud to have Robyn onboard. Our editors and women of interest and influence in the beauty and wellness space are in safe hands with Robyn. Robyn is an advanced skin treatment therapist and has been supporting dermaviduals for over 8 years & in the industry for 12. She has a strong passion for skin and people. The love and care she puts into each facial treatment is nothing short of amazing. Thank you to you and your magic hands, Robyn! One by one, Annemarie and I had a chat with guests before taking them up to our suite room to meet and greet Robyn, where we would leave them to enjoy the experience and leave feeling beautiful. 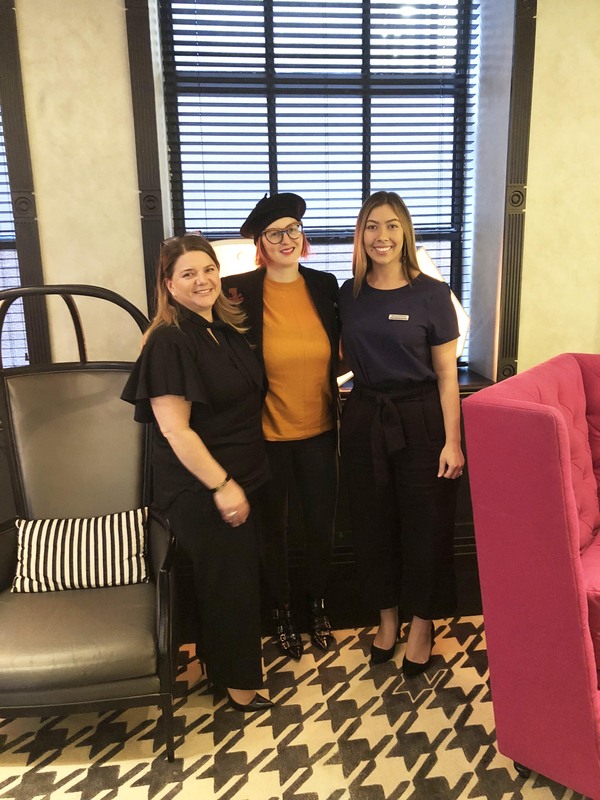 It was interesting to see what sparked their interest, hear about the current story topics on their mind and to assist where we could to widen their knowledge and understanding of skin care. First, we met with Robyn Foyster, founder of The Carousel. She was really intrigued by the bespoke nature of our range. 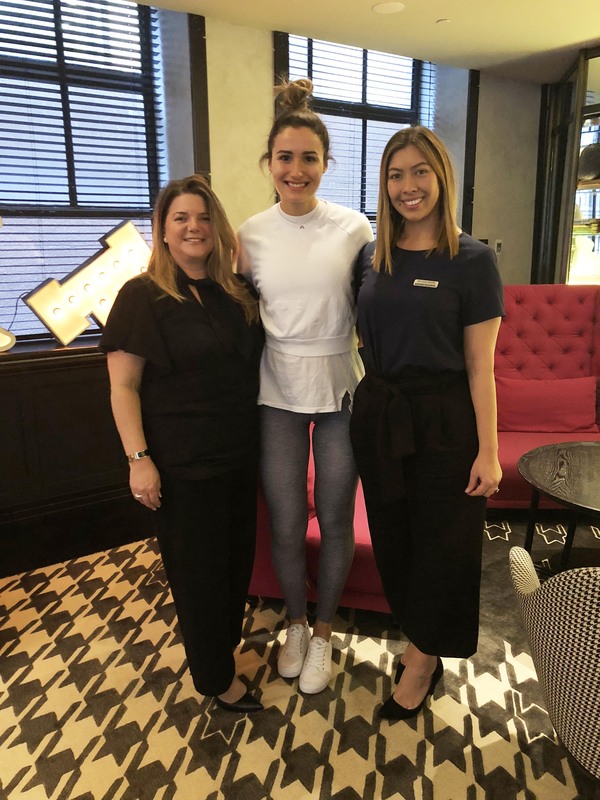 We enjoyed taking Robyn through a fresh introduction to the concepts of a true bespoke skincare range, something she hadn’t experienced before. Next up we met health and fitness influencer Sarah Boulazeris (@thisisme.sb). She is a very talented and beautiful lady, a strength coach and personal trainer originally from the Central Coast. Sarah is very passionate about looking after your body from the inside out. Sarah was very interested in the skin health concepts, as she is centred on wellness and natural beauty. This, of course, perfectly aligns with our values at dermaviduals! Sarah and her partner, Kris Smith, announced later that day they were expecting a baby later this year! Congratulations guys! 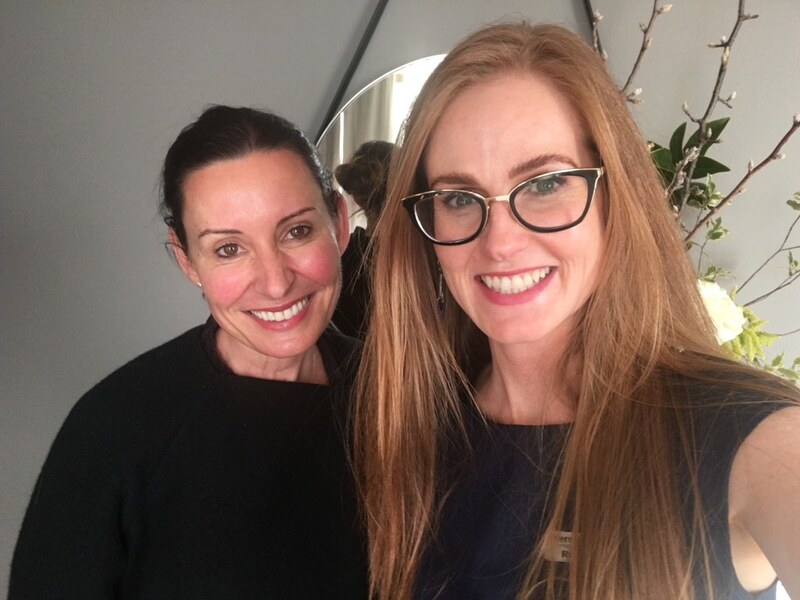 Sarah came back to see us before leaving – Robyn worked her magic and Sarah’s skin was absolutely glowing after that facial! She even said it was the “best facial she has ever had”. This was all only in 45 minutes with Robyn. Imagine what we could do in a full hour and a half! Then it was over to the wonderful Cecily-Anna Bennett, Beauty Editor of Prevention Magazine. 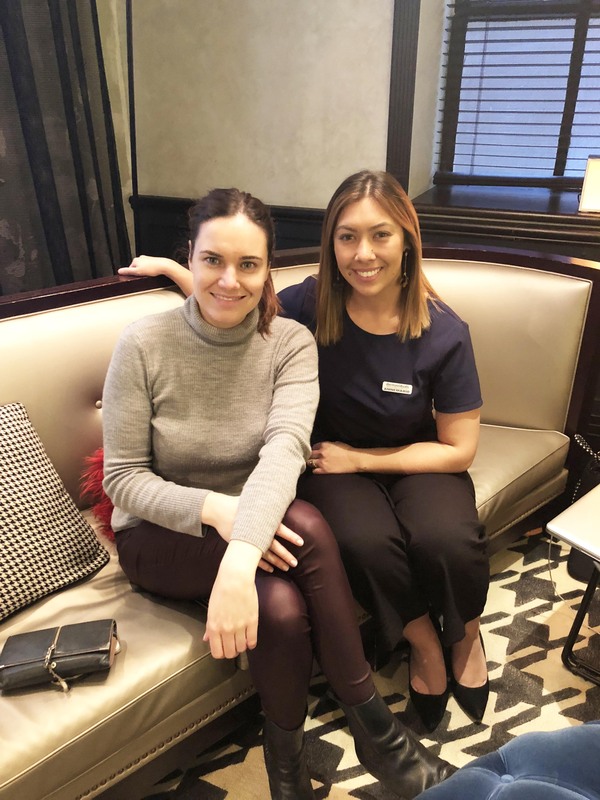 She was very interested in skin health from the inside out and had previous knowledge of Corneotherapy, but learnt so much more from a quick chat. The skin microbiome was a hot topic of discussion and how dermaviduals can really harness the health of the skin. It was great to catch up with Stephanie Darling (of Sunday Life) next who we originally met 8 years ago at our initial launch in Australia! It was so interesting to talk to her about the changes she has noticed in our industry over that time. Nourishing the skin barrier, as we do in Corneotherapy, is now very ‘on trend’, with the skin industry moving away from over peeling and stripping the skin, as was popular and trending when we first introduced dermaviduals. We love that we have continued to do what we do, despite the trends of the time! Our next guest was Anita Quade, from the industry publication Professional Beauty. Anita was very excited to have her first dermaviduals treatment facial, knowing quite a bit about our products and Corneotherapy already. 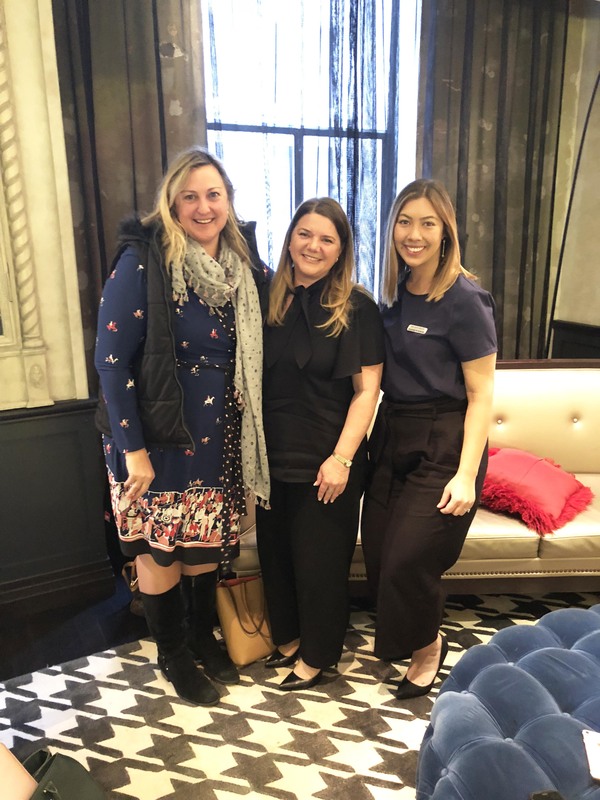 Anita is also looking forward to having the chance to meet Jennifer Brodeur (LED expert and facialist to the likes of Oprah Winfrey & Michelle Obama) and Morag Currin (Oncology Aesthetics expert) in the coming months at our events. We met with Kate Niven from Beauty Crew following Anita. Kate was eager to learn about our range and our skincare philosophy and we were happy to share the message of skin health! She is currently working on an anti-pollution skincare piece, which we had a great chat about. Environmental protection is a big part of the Corneotherapeutic way, so is right up our alley! 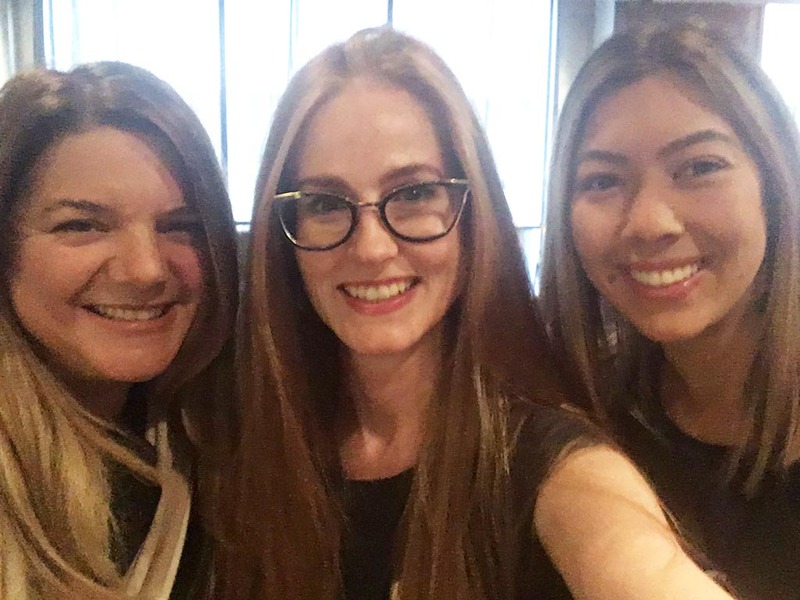 We next met Harriet Armstrong from nine.com.au – we loved chatting with her; she is definitely a straight shooter. Talking just about the facts & science of skin, skincare and Corneotherapy without the hype of marketing and over-promising really resonated with us all! Our last two guests were the gorgeous Mescia Twins, Ashleigh & Olivia. Both were super excited to try the range and get their bespoke facials to address some skin concerns and focus on their skin health. We loved hearing that Olivia was already a fan of our facials at The PHI Clinic. 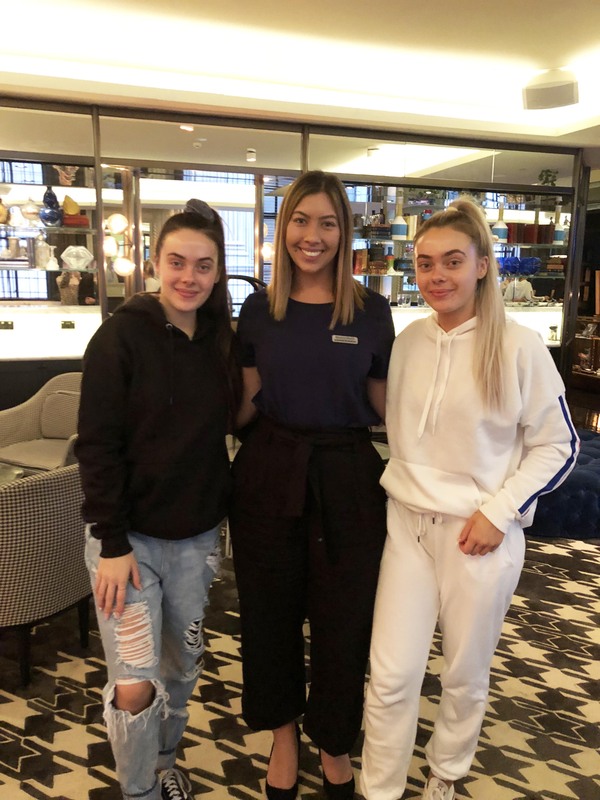 It’s interesting to note that despite being identical twins, Olivia and Ashleigh received different bespoke facials and skin prescriptions – see, no two skins are the same! All in all, it was a fantastic and busy day hosting media and influencers at the QT Sydney. We look forward to the next one! Hey. I was very inspired by your article. After reading it, I’m already looking forward to visiting QT Sydney. I have long heard of Robin McAlpine. Many people say that he is very talented. In general, I have been using your products for a long time. I can not imagine what I would do without them. Thank you so much for making my skin better. I have very sensitive skin and I have tried a lot of products. I tell you honestly, in the market for skin care products, there are very few quality products. I hope that someday it will hibernate. Wish you luck!